A pair of beautiful cubic zirconia earrings with antique gold leaf pattern features. 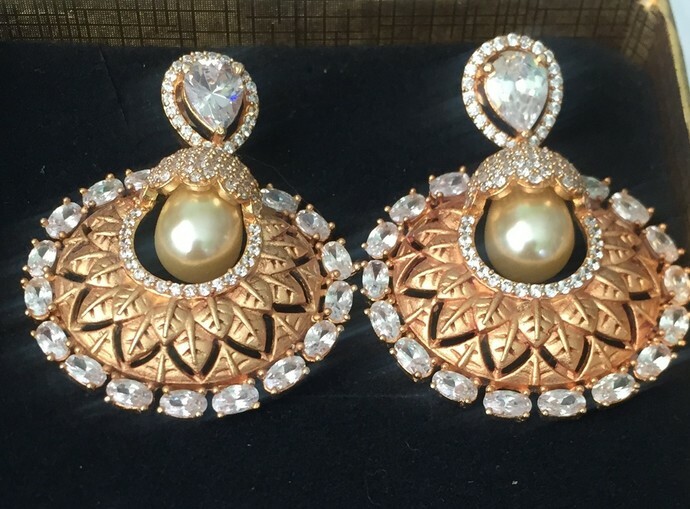 The earrings boast of a tear drop pearl embedded and surrounded by crystal clear cubic zirconia stones. A very beautiful simple pair of earrings.